The free computer program Strap aligns proteins by sequence and 3D-structure und Windows, Macintosh, Linux and Unix. Run the demo showing 6 sequences of the proteasome within a Strap session. Strap requires Java. In all versions of Strap, modifying file operations are strictly checked to prevent damage of data on the computer. The Strap "Lite" version used for above demo has additional restrictictions to improve security: It does not have permission to run external programs nor to load further Java code. After starting the demo you will see 6 amino acid sequences. For three of them the 3D-structure is known. Those are well superimposed in 3D even though the similarity is hardly recognized at sequence level. Some important positions are marked in the sequence. These underlinings might be dragged into the 3D-view. Pymol. Initially, an error message appears and the user is asked to install pymol. Strap supports the simultaneous analysis of hundreds of proteins and integrates amino acid sequence, secondary structure, 3D-structure and genomic- and mRNA-sequence and residue annotation. Snapshot of the Strap application. 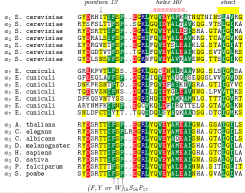 Bottom panel: Multiple sequence alignment in Strap. Four proteins are selected and conserved amino acids are colorized according to chemical property. Top panel: One of the proteins is shown in 3D. 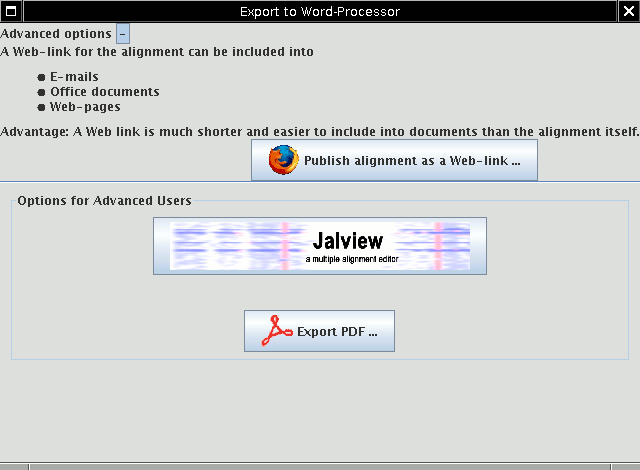 The alignment can be exported and modified in MS-Word or other text processors. Import and export of proteins is very easy by . The included tutorial will teach the use of Strap in as little as one hour. The scriptability and extendability make Strap a very powerful tool for even the most advanced users. The software programmed in Java and runs on all platforms. It will be permanently improved. Protein superposition of four proteins. Click to run demo An alignment of orthologous and paralogous sequences of the core of the proteasome is shown. Each alignment row contains the amino acid sequence and the row header with the sequence name. The row headers have a context menu (right click) and can be moved/copied with the mouse (so-called ). Important sequence positions are highlighted after some time. A detailed balloon message appears when the mouse pointer is over the underlining. The information is freshly downloaded from various servers in the world and will be up-to-date which causes a delay of a few moments. They have a context menu (right click), they can be selected by Ctrl+click and can be copied by . The 3D-structures are not directly available. This is because only sequence information is primarily present. Nevertheless, homologous 3D-models can be inferred using the tool-button "3D". This automated search for homologous structures is based on an up-to-date copy of the structure database. After association of 3D-coordinates from an homologous entry from the protein structure database, the structure can be viewed. Java is needed. Click the "Launch"-button in the navigation panel which links the file strap.jnlp. Depending on the configuration of the Web-Browser, it may not work: In case of problems. By default, Strap must not use more than 250 MByte. Therefore, Strap may throw an OutOfMemoryError. Here you can start Strap with more memory. OutOfMemoryError often occurs with the 3D-superposition method CE for very large proteins. Solution: The method TM_align requires less memory. The superposition method can be changed with the context menu of the align-tool-button (right click) or in the Superposition menu of the 3D-view. The amount of free memory can be monitored in Strap in the left side pane which need to be opened with the mouse first. Uninstall: Strap does not change the system. It does not modify global configuration files . All files reside in . PDF-output of a multiple alignment in hydropathy shading. Above the alignment the is drawn. Below the alignment, arrows point at functionally important positions. Strap uses TeXshade for PDF export. The movies can be watched with an -player. Please install adobe-flash browser-plugin. Each movie takes about 1 to 3 min. 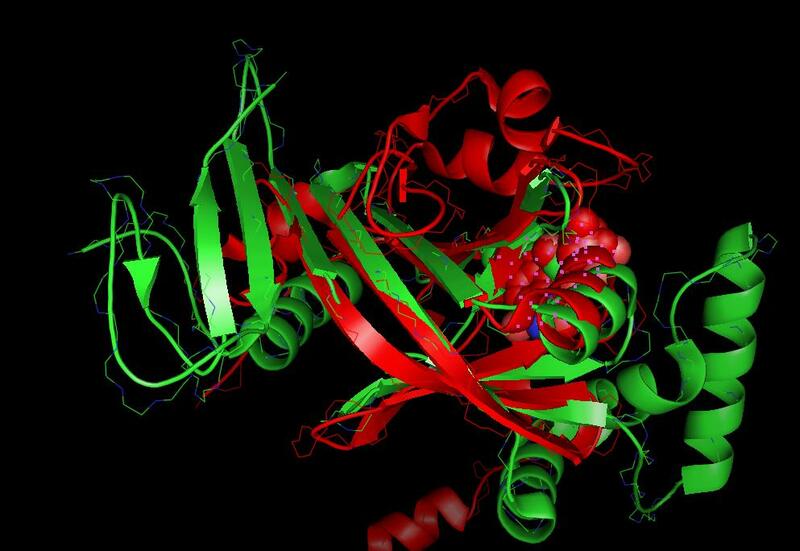 Loading and saving of proteins is very important. 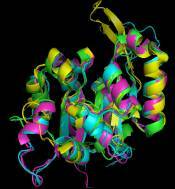 The following three movies demonstrate, how is used for proteins in Strap. 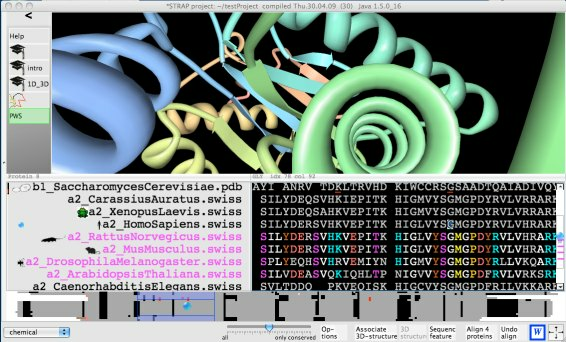 Computation of 3D-superpositions (Example output) and structure based multiple alignments of proteins with TM-align or CE or Gangsta+ 3D-superposition, . Combined sequence-structure alignments. Blast search including "Blast Alert"
Translation of nucleotide sequences to amino acid sequences. Output of amino acid alignments as nucleotide alignments. DNA translated to amino acids. Three (not necessarily consecutive) nucleotides form a triplet and code for one amino acid. Exons are black and introns gray. Thre amino acids are highlighted with a green background. The view is synchronized with the alignment view. PDF: Example Conservation, Hydropathy, Fingerprint-overview. PDF with bar charts: Example Color encoding and Bar chart. See TeXshade. Strap provides an easy way to integrate alignments or protein views in web-pages, E-mails and office documents. Web-variables: A limited amount of information can be passed as web-variables in the address. Script commands: For complex tasks the scripting language can be used in the web page. The interaction of web pages and Strap is demonstrated in the animation (1.1 MByte). Strap with reduced functionality ( invisible menu-bar) serves as a simple web-viewer for proteins. 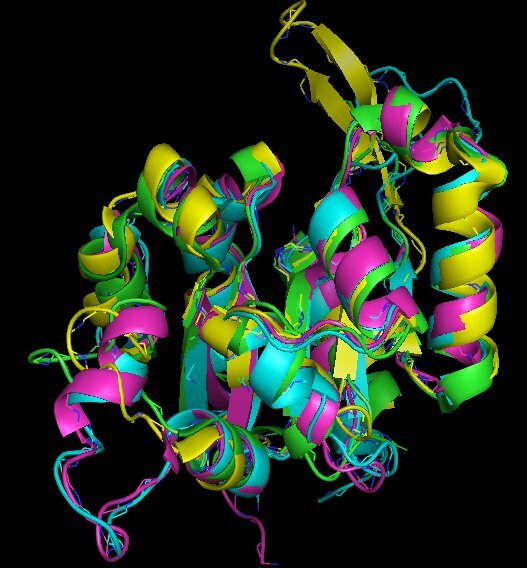 Static web links are clicked by the user to load proteins. In the video four pdb files are loaded and structurally aligned. 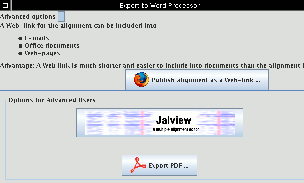 The files are saved on the desktop by and the alignment is shown in the web-Browser and in MS-Word. If a previously working feature is broken then use a Previous version and report the bug.